Around a year ago, we brought you a look at a new Gears of War title being developed at Epic Games and designed to take advantage of Microsoft's Kinect technology. It looked pretty silly, something Microsoft and/or Epic obviously agreed with, because the game - called Gears of War: Exile - sounds like it's ended up in the bin. Speaking at PAX, Epic's Cliff Bleszinski said "Let's just bury the hatchet now. Gears of War: Exile was an unannounced game that I can't give any details about that has since been cancelled." While Bleszinski won't say much about the game, we heard Exile was an on-rails shooter. 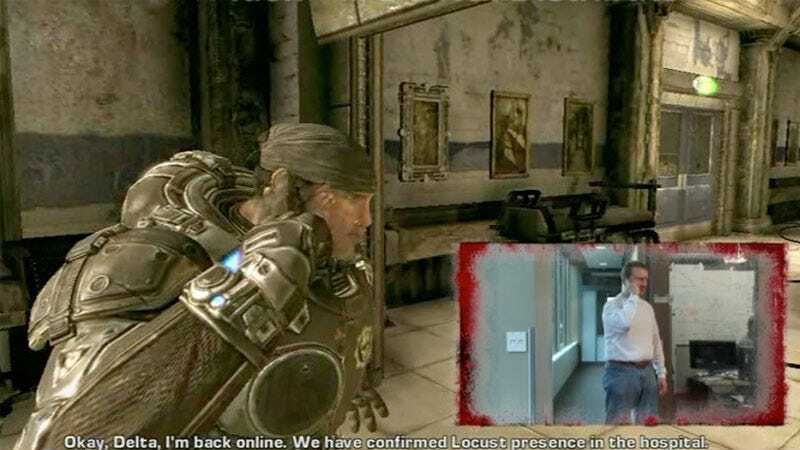 Demo footage we saw last year, which was from a very early version of a very early test for a Gears Kinect title, showed players "acting out" the role of Marcus Fenix in a sequence recylced from the beginning of Gears of War 2. It was unclear just how far along, or even how far removed, Exile ended up being from that initial test.